Ravindra Bagia is a Senior Lecturer in the School of Information, Systems and Modelling within the Faculty of Engineering and IT at the University of Technology, Sydney. Prior to joining UTS Ravindra held positions of Engineering Manager, Principal Systems Engineer and Systems Engineering Manager at Boeing Australia Limited. 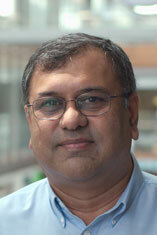 Ravindra has extensive experience in the development of complex defence and commercial systems. Industry consulting in the area of Systems Engineering and Project Management. Bagia, R, Eager, DM & Walmsley, M 2011, Project Management for Engineers, 1, McGrawHill Australia Pty.Ltd., Australia. Bagia, R., Eager, D.M. & Walmsley, M. 2011, Project Management in Engineering and Information Technology, 1st, McGraw-Hill, Sydney, Australia. Eager, D.M., Bagia, R. & Walmsley, M. 2008, Engineering Project Management 48280 and Managing Projects 49002, 1st Edition, McGraw-Hill, Sydney, Australia. In this paper, the authors analyse knowledge management (KM) practices in civil aviation industry and introduce a framework for better management of knowledge in aircraft engineering (AE). After comprehensive review of KM literature, this paper offers insights into the existing KM practices in AE using a case study in the Saudi Arabian Aviation industry (SAAI). The KM research data was collected through discussions and interviews as well as through observations during one of the authorâs employment as aircraft engineer in the SAAI. Synthesis of these results with the KM literature was used to identify the gaps between the KM theory and current practices in AE. Finally, an operations-based knowledge management (OBKM) system framework was developed to address these gaps and overcome ineffectiveness in current practices. Lowe, D.B., Scott, C.A. & Bagia, R. 2000, 'A skills development framework for learning computing tools in the context of engineering practice', European Journal of Engineering Education, vol. Volume 1, no. 0, pp. 45-56. This paper is about knowledge management (KM) in Aircraft Engineering (AE). This industry is highly technology dependant; thus, enhanced KM in AE is a key success factor. This paper analyses KM literature, and offers insights into the existing KM practices in AE using a case study in the Saudi Arabian Aviation industry (SAAI). The KM practices were ascertained by interviewing senior aircraft engineers as well as through observations during one of the author's 6-year employment as aircraft engineer in the SAAI. Synthesis of these results with the KM literature identified gaps between the KM theory and current practices in AE. Finally, an operations-based knowledge management (OBKM) system framework was developed to address these gaps and overcome ineffectiveness in current practices. It is acknowledged in project management literature that a project's success means different things to different people. This implies that the definition of success will be different for each project. However, success is a common goal for projects regardless of the specific definition for each project. This statement implies that there can be a common approach in planning for success and generalized framework that can guide the process of defining and planning the project success for different projects. This paper presents the underlying framework that directs the optimum success definition and planning process. Through a literature review and classification of success criteria, a four level success framework was developed, namely: context level; business level; product level; and project process level. This framework explains the relationship between levels and provides guidelines for decision process. The framework is generalized and can be applied to most projects. In this paper, the authors analyse knowledge management (KM) practices in civil aviation industry and introduce a framework for better management of knowledge in aircraft engineering (AE). After comprehensive review of KM literature, this paper offers insights into the existing KM practices in AE using a case study in the Saudi Arabian Aviation industry (SAAI). The KM research data was collected through discussions and interviews as well as through observations during one of the authorâs employment as aircraft engineer in the SAAI. Synthesis of these results with the KM literature was used to identify the gaps between the KM theory and current practices in AE. Finally, an operationsbased knowledge management (OBKM) system framework was developed to address these gaps and overcome ineffectiveness in current practices. Bagia, R. & Sharma, D. 2008, 'Environmental Policies v. Energy Security in Australia', Proceedings of 2nd IAEE Asian Conference, The 2nd International Association of Energy Economics Asian Conference, Curtin University of Technology Business School, Perth, Western Australia. Abstract: 'Environment' has lately emerged as a policy issue of immense significance in Australia. Two of the most recently released reports on the topic, namely, Garnaut Review and the Australian Government's Green Paper, have established the foundations for a deeper debate on this topic. An early review of these reports, and other literature on this topic, suggests that much of the discussion on the likely impacts of climate change and strategies to mitigate climate-change-inducing greenhouse gases essentially revolves around economic arguments, for example, cost of mitigation, price and other micro- and macro-economic impacts. A lesser emphasis appears, in this debate, to have been placed on another equally strategic dimension associated with this issue, namely, the impacts of various environmental policy initiatives on âenergy securityâ. This paper provides a discussion on this dimension. Sandu, S, Sharma, D, Misra, S, Bagia, R, Foster, J, Bell, WP, Wild, P, Froome, C & Wagner, L National Climate Change Adaptation Research Facility 2013, Analysis of institutional adaptability to redress electricity infrastructure vulnerability due to climate change, no. NCCARF Publication 114/13, pp. 1-345, Gold Coast.